In general, most control panels implement a common set of features. While most will implement some subset of these, there are a few that include them all. As is with virtually any other product market, there are upgrades and premium versions to be had in web panels. The top enterprise-grade panel features are up next! These options are fantastic for large-scale, growing businesses and hosters. We all know it is easier to see things visually, so we put together a nice table for you to compare all of the control panels and their features quickly. Below the table, we provide some commentary on each piece of software and links to help you investigate further. These panels’ features are varied. Some panels may be best suited for shared hosting customers, while others are very popular among cloud hosting users. Still, whether you’re running your site on dedicated servers, a VPS, or a shared hosting environment, the usefulness of being able to manage your files, email, apps, et cetera from one intuitive interface is invaluable. 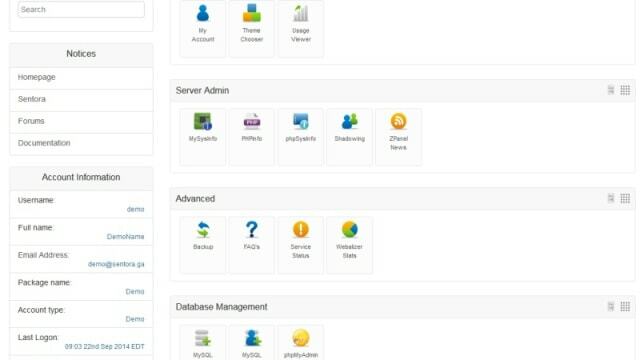 While each hosting control panel should offer the same fundamental features — management for domains, email, FTP, app installs, et cetera — the actual feature sets, layout, and level of control offered can vary widely from panel to panel. 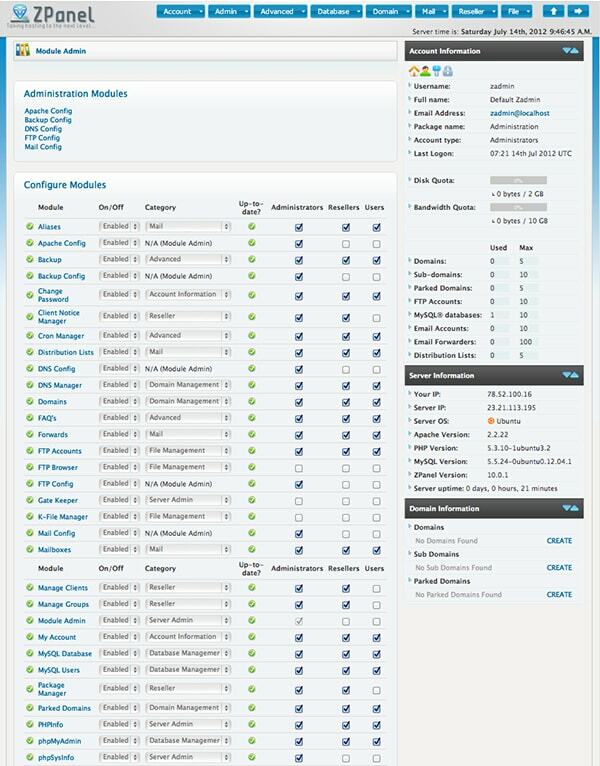 Below, we discuss each of the top web hosting control panels independently. Highly Responsive, Speedy Performance: The cPanel team has made speed and efficiency a priority in the latest releases. This has resulted in a memory usage reduction of more than 25% in version 60 compared to the previous release, and cPanel and WHM account-related feature speeds, such as account creation or termination, are up to 10 times faster than prior versions. Expect more memory for applications and faster page loading speeds. Command Line Utilities: Since the addition of command line utilities, the cPanel API has become readily accessible to non-coders. 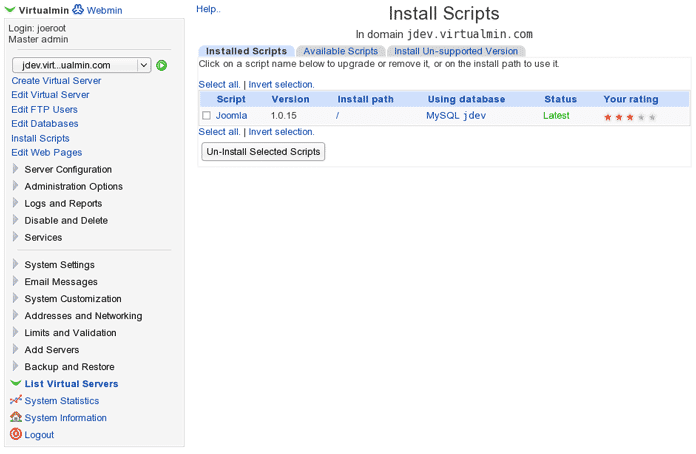 If you can use a command line, you can use the API, which opens up doors for integration by even beginner programmers. AutoSSL and SNI Support: SSL certificates are automatically installed for every domain on your server and kept updated. Whether you want to use Komodo, Let’s Encrypt, or another provider, the SSL encryption is free and the certificates will be kept active for the life of the cPanel account. With the addition of SNI support, cPanel users can now get domain-specific certificates for /cpanel, /whm, and /webmail redirects. EasyApache 4 and PHP-FPM: While EasyApache 4 makes managing packages and dependencies simple and super speedy, PHP-FPM applies the same level of speed and security for your applications. 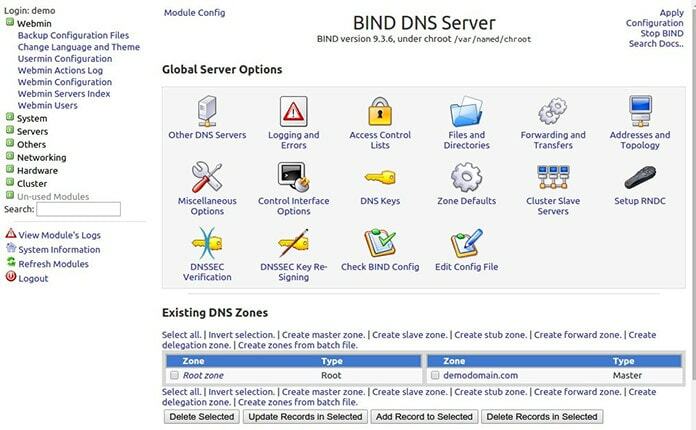 DNSSEC and PowerDNS: Backed by PowerDNS, secure your DNS zones through DNSSEC and shield yourself from one of the foremost threats on the Internet. DNSSEC verifies the server you’re connecting to, protecting your site from DNS cache poisoning. 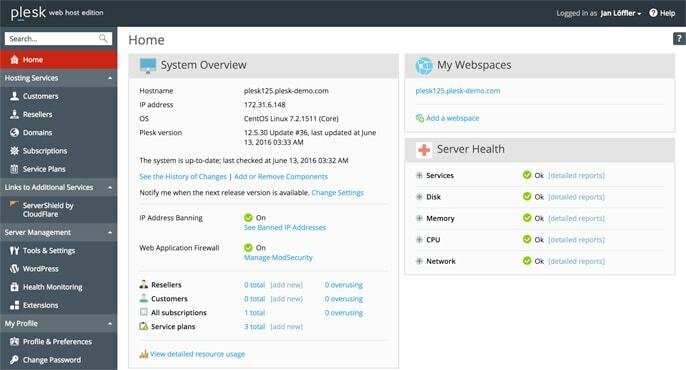 Host/OS Agnostic: Plesk can be installed on a wide variety of operating systems and is virtually host agnostic. If you are running any form of a popular Linux version (CentOS, Ubuntu, CloudLinux, etc) or even Windows, you can run Plesk. As an added bonus, you can even run Plesk inside a Docker container found on Docker Hub. This is a strong pull factor differentiating Plesk from cPanel, which only runs on CentOS. Git Integration: In response to a complaint that many web panels don’t offer support for Git, a popular version control system used to track changes and site updates, Plesk added their Gitman extension. The extension is available for Plesk 12.5 and up, with full Git support being pulled into the core in an upcoming Plesk release. Docker Integration: The October 2016 release will also update Plesk’s core to include Docker support — featuring a catalog of over 200,000 Docker images. This lets you launch Docker images straight from Plesk without touching the command line. 1-Click SSL Security: Even those who are new to hosting tend to understand the need for SSL security. Unfortunately, it can be a pain to set up and keep up to date. With new services like Let’s Encrypt making it easier and easier to get SSL (TLS) on your site, there is no reason to leave your pages unsecured. 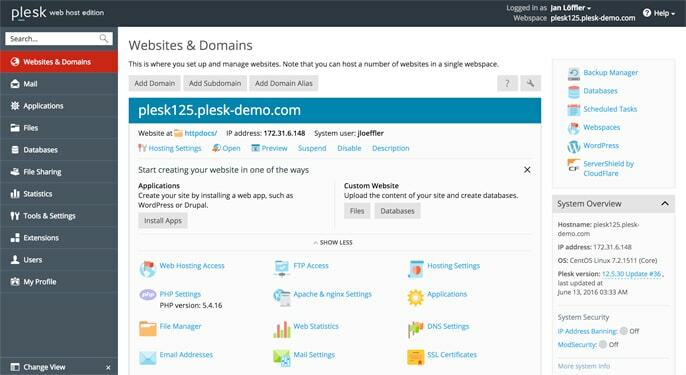 Plesk will automatically handle obtaining a certificate and configuring database files to accommodate https-only access for you, so both your web panel and all sites you’re hosting on your server are secured. This will also include niceties like renewing your certificate, running HTTP2, or providing you with security details when your server is under attack. 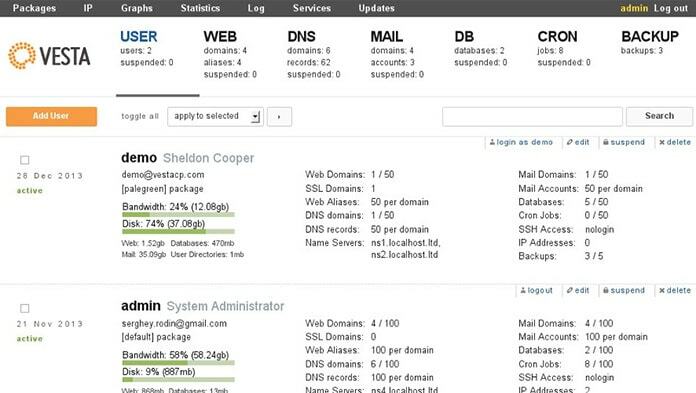 1-Click WordPress Hardening: An upcoming extension release will allow WordPress hosting customers to entrust their security management to Plesk with one click. 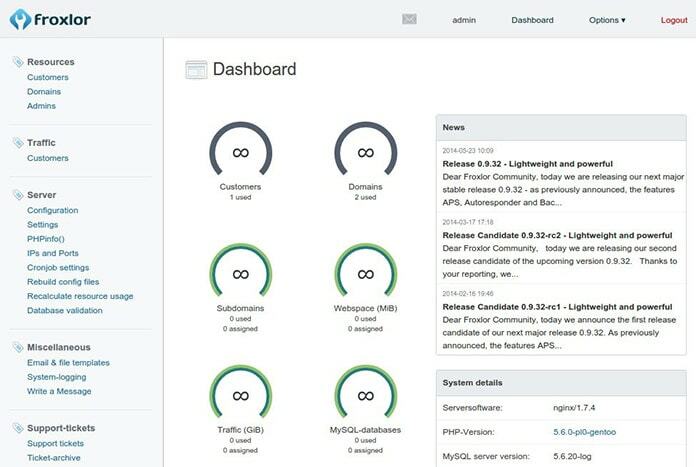 Plesk will then manage plugin updates, bug fixes, and security patches for you. Vesta is open-sourced and aims to be a simple and lightweight web control panel. It does not support the more enterprise-like features (like multi-server setups), but it does try to place an emphasis on performance by using Nginx for the web panel frontend and Apache for the application backend. 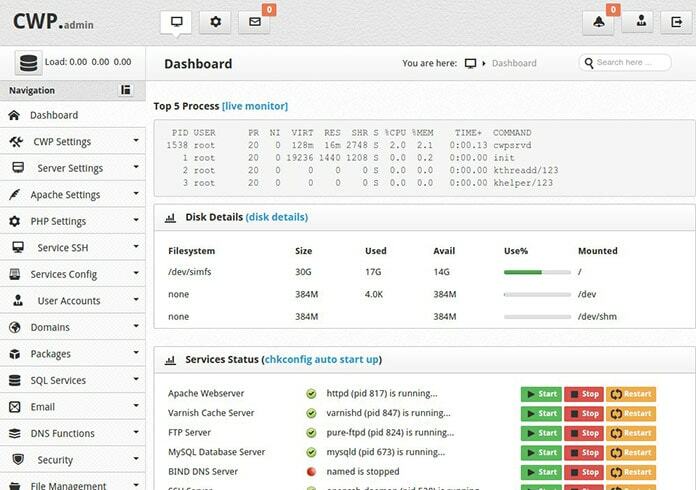 Zpanel (hasn’t been updated since March 3, 2014 and may no longer be maintained) is open-sourced and aims to be an “enterprise-class web hosting control panel with support for unlimited resellers.” The interface is compact and highly functional. Zpanel has support for many operating systems, including Linux, Windows, MacOS, and FreeBSD. Sentora is a fork of ZPanel. This fork happened after Zpanel’s sale to a US-based company. Sentora brands itself as the “community version” of ZPanel. The team behind Sentora also offers subscription-based, premium support. 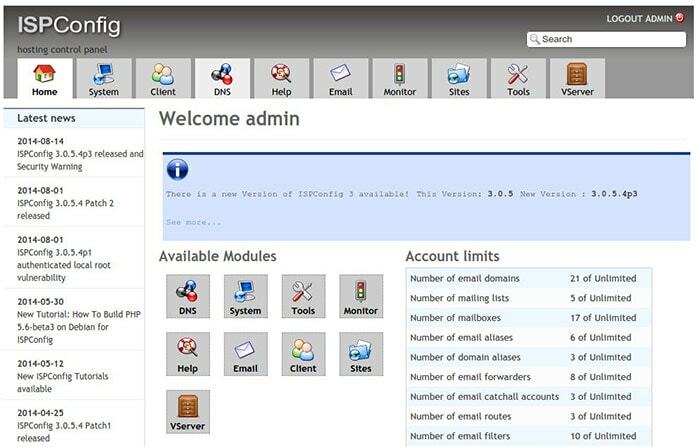 Webmin an open-source web control panel for system administration on Linux/Unix. 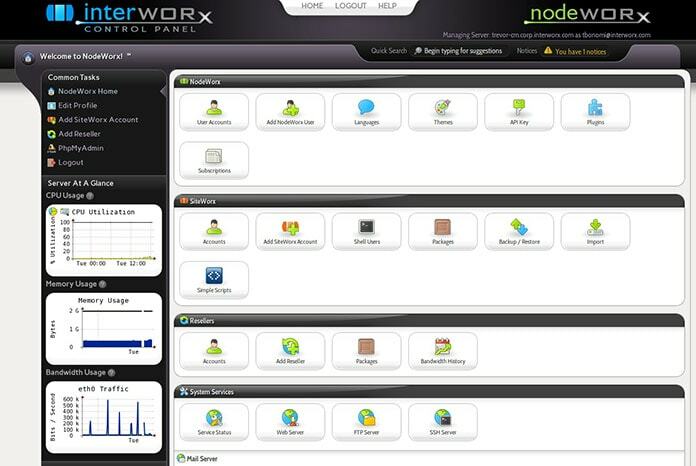 It has dozens of modules for configuring server services. 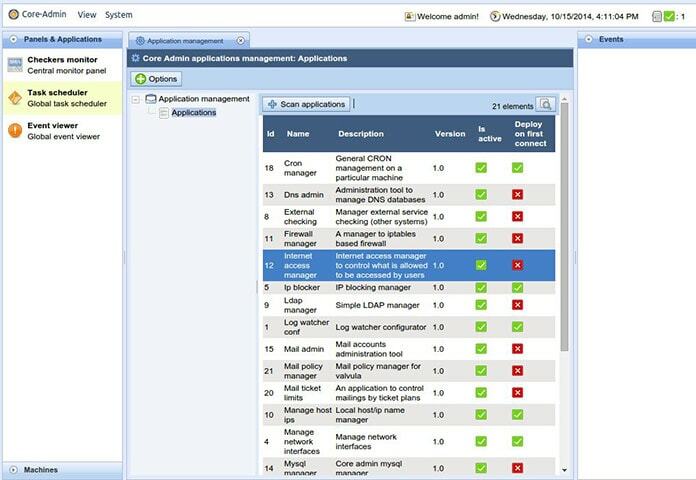 Their Cloudmin tool is a Webmin-based interface for managing virtual systems, including Xen, KVM, and OpenVZ. 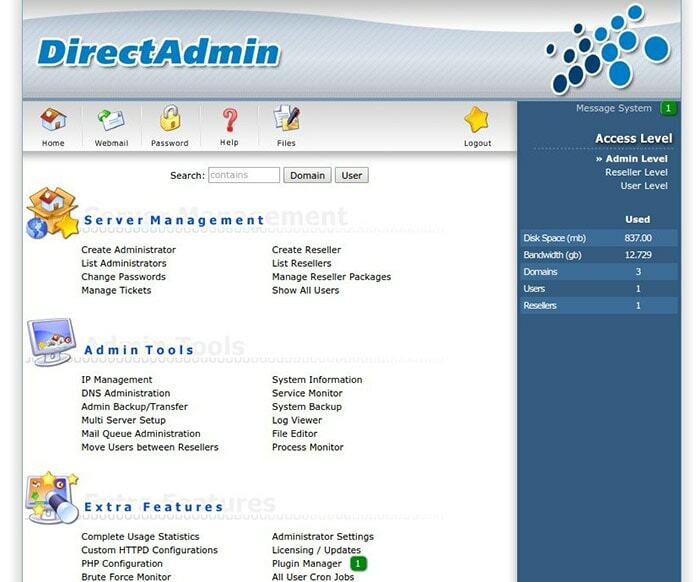 ISPConfig is a popular, open-source web control panel system with good enterprise support. The project claims to have more than 40,000 downloads per month. There is good multi-server, IPv6, and virtualization (OpenVZ) support, which is ideal for ISPs or other corporate environments. 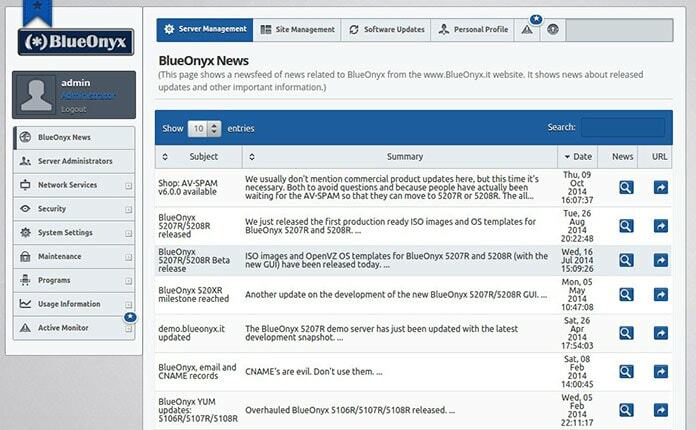 BlueOnyx is an open-source web control panel that only runs on the CentOS and Scientific Linux distributions. Its interface may show its age a bit, but there is good support for multi-user setups among many other features. 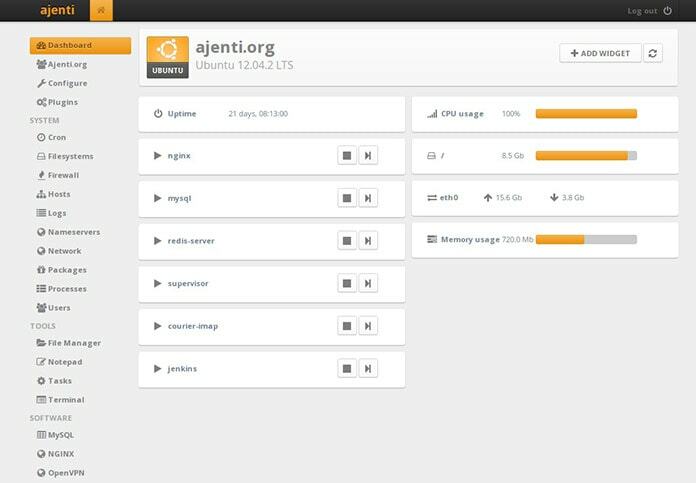 CentOS Web Panel is an open-source web panel for the CentOS Linux distribution. 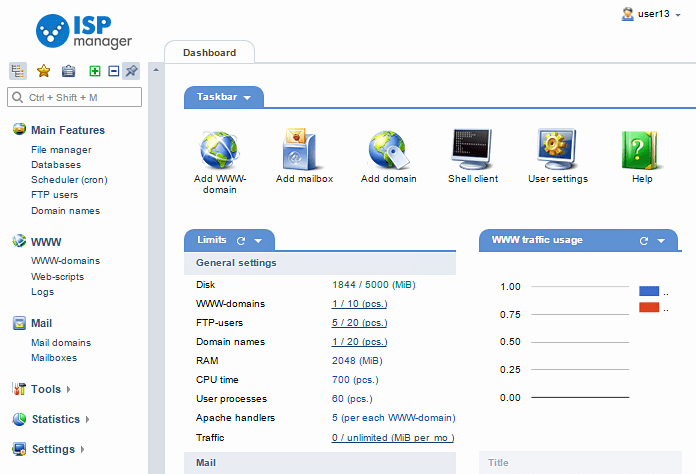 It has a solid feature set that can match most of the other web panels, though it lacks multi-server support. Cloudmin Professional is a multi-server control panel based on Virtualmin, to enable the building of cloud services for use by enterprises and service providers. 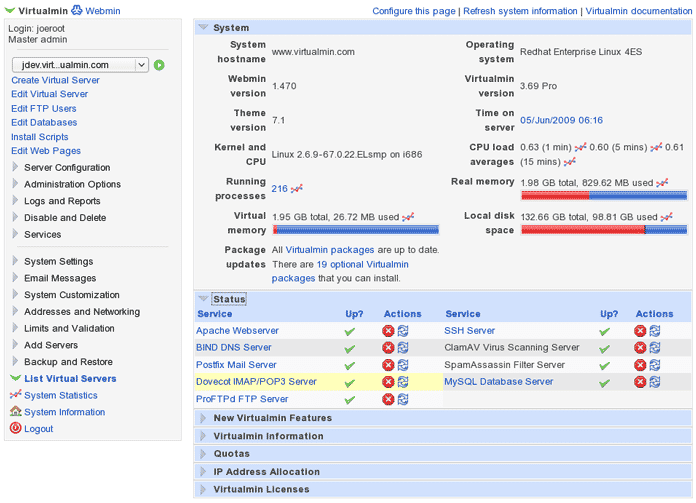 Cloudmin has support for Xen, vserver, Solaris Zones, and Amazon EC2 instances.